Last week Cannabis Industry Journal, a sister publication of Food Safety Tech, published its interview with AOAC International officials about the organization’s commitment to cannabis lab testing, where it sees this area headed in the future and the launch of its food authenticity and fraud program. 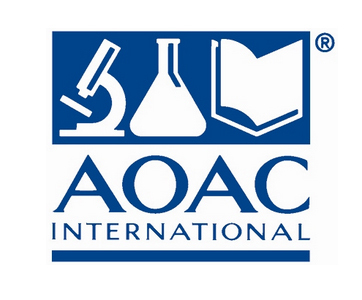 AOAC first entered the realm of cannabis testing a few years ago and is making strides to get further involved with “methods regarding chemical contaminants in cannabis, cannabinoids in various foods and consumables, as well as microbial organisms in cannabis,” according to the article. AOAS also recently launched a food authenticity and fraud program to develop standards and methods geared toward economically adulterated foods. Read more about AOAC’s latest development on the food front as well as its push in cannabis lab testing in the article, “Spotlight on AOAC: New Leadership, New Initiatives in Cannabis and Food”. EDGARTOWN, MA, Feb. 19, 2019 – Innovative Publishing Co., the publisher of Food Safety Tech and organizer of the Food Safety Consortium Conference & Expo has added two distinguished industry leaders to its Advisory Board for this year’s Consortium event, which takes place October 1–3. Randall Phebus, Ph.D., interim director at the Food Science Institute and professor of food safety & defense at Kansas State University, will serve as chairperson for the Testing track at the Food Safety Consortium Conference & Expo, and Darin Detwiler, lead faculty for regulatory affairs of food and food industry, and assistant teaching professor at Northeastern University, will chair the Food Safety Leadership and Management track. Detwiler and Phebus will have a significant role in organizing these tracks to ensure that the sessions are accurate, relevant and meaningful for attendees. 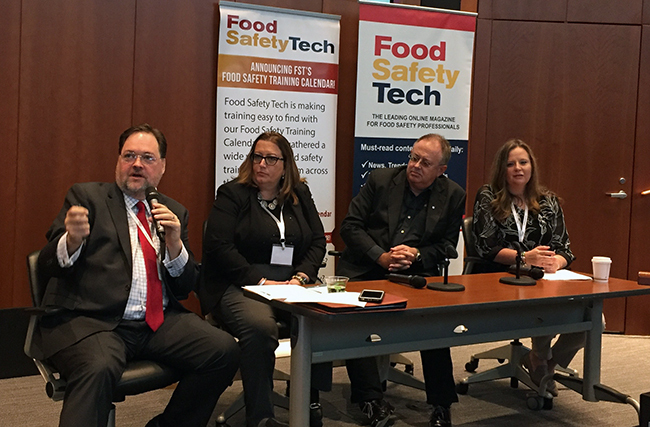 Detwiler has been a member of the Food Safety Tech and Food Safety Consortium Advisory Board for two years and has made strong contributions to the content at the organization’s events, including most recently leading panel discussions on blockchain at last year’s Food Safety Supply Chain Conference and the 2018 Food Safety Consortium. Phebus is joining the Advisory Board for 2019 and will be providing critical perspectives in the area of food microbiology, food safety testing and environmental control. 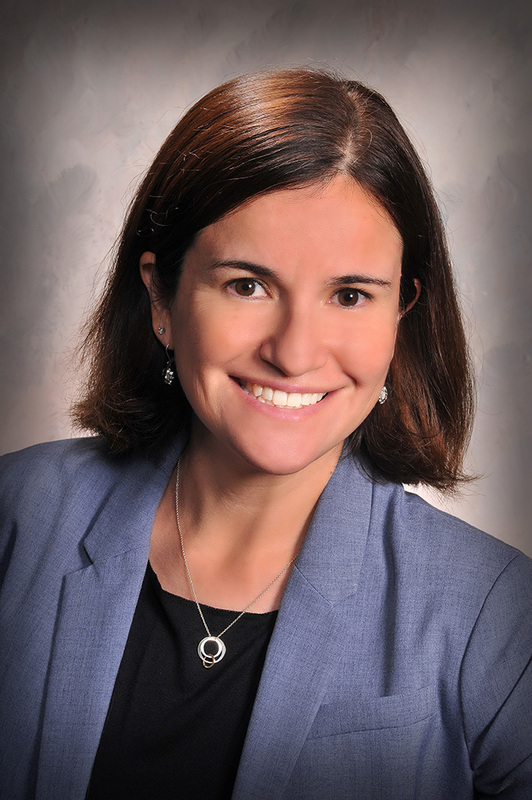 Detwiler and Phebus join Angela Anandappa, Ph.D., who was announced as the chairperson for the 2019 Food Safety Consortium Conference & Expo’s Sanitation track. Food Safety Tech publishes news, technology, trends, regulations, and expert opinions on food safety, food quality, food business and food sustainability. We also offer educational, career advancement and networking opportunities to the global food industry. This information exchange is facilitated through ePublishing, digital and live events. 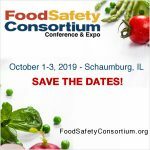 The Food Safety Consortium Conference and Expo is a premier educational and networking event for food safety solutions. Attracting the most influential minds in food safety, the Consortium enables attendees to engage conversations that are critical for advancing careers and organizations alike. 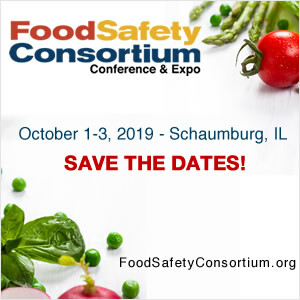 Visit with exhibitors to learn about cutting edge solutions, explore diverse educational tracks for learning valuable industry trends, and network with industry executives to find solutions to improve quality, efficiency and cost effectiveness in an ever-changing, global food safety market. This year’s event takes place October 1–3 in Schaumburg, IL. The November 2018 outbreak of E.coli O157:H7 infections linked to romaine lettuce caused 62 illnesses across 16 states. The FDA zeroed in on the Central Coast growing regions of northern and Central California as being responsible for the contamination. The outbreak was declared over on January 9 and yesterday FDA released the report, “Factors Potentially Contributing to the Contamination of Romaine Lettuce Implicated in the Fall 2018 Multi-State Outbreak of E.Coli O157:H7”, which provides an overview of the investigation. The report states that a sediment sample coming from an on-farm water reservoir in Santa Maria (Santa Barbara County, California) tested positive for the outbreak strain of E. coli O157:H7. Although this particular farm was identified in several legs of the Fall 2018 traceback investigations that occurred in the United States and Canada, as well as being a possible supplier of romaine lettuce in the 2017 traceback investigations, the FDA said that the farm is not the single source of the outbreak, as there is “insufficient evidence”. The traceback suggests that the contaminated lettuce could have come from several farms, because not all tracebacks led to the farm on which the contaminated sediment was found. “The finding of the outbreak strain in the sediment of the water reservoir is significant, as studies have shown that generic E. coli can survive in sediments much longer than in the overlying water. It’s possible that the outbreak strain may have been present in the on-farm water reservoir for some months or even years before the investigation team collected the positive sample. It is also possible that the outbreak strain may have been repeatedly introduced into the reservoir from an unknown source,” stated FDA Commissioner Scott Gottlieb, M.D. and Deputy Commissioner Frank Yiannas in a press announcement. 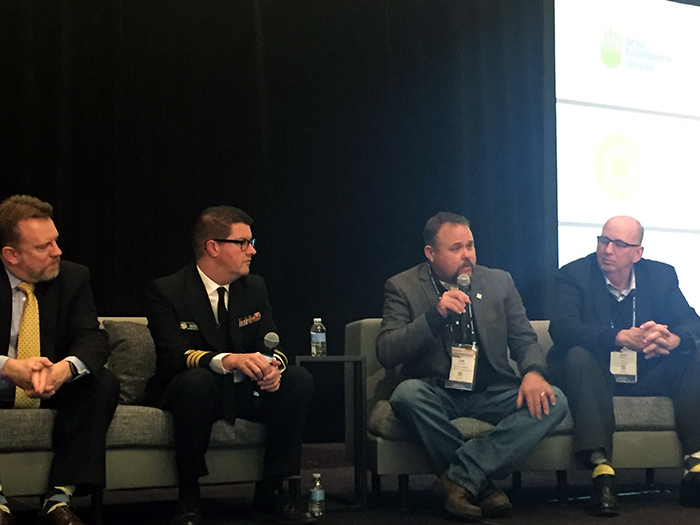 (left to right) Stic Harris, FDA; Matt Wise, CDC; Dan Sutton, Pismo Oceano Vegetable Exchange; Scott Horsfall, California Leafy Greens Marketing Agreement discuss the first E.coli outbreak involving romaine lettuce during a panel at the 2018 Food Safety Consortium. Read the article about the discussion. Although the exact route of contamination cannot be confirmed, the FDA hypothesizes that it could have occurred through the use of agricultural water from an open reservoir, which has increased potential for contamination. The investigation teams also found evidence of “extensive” wild animal activity and animal burrows near the contaminated reservoir, as well as adjacent land use for animal grazing, all of which could have contributed to the contamination. Although FDA did not directly name the farm in the report, it provided a link about the recall that was initiated by the farm, Adam Bros. Farming, Inc., in December. On-site rapid tests for allergens are an important part of any manufacturing facility’s allergen control plan. Several companies offer allergen test kits for day-to-day use, and it can be hard to tell the differences between them or determine which is the best fit for a given facility. 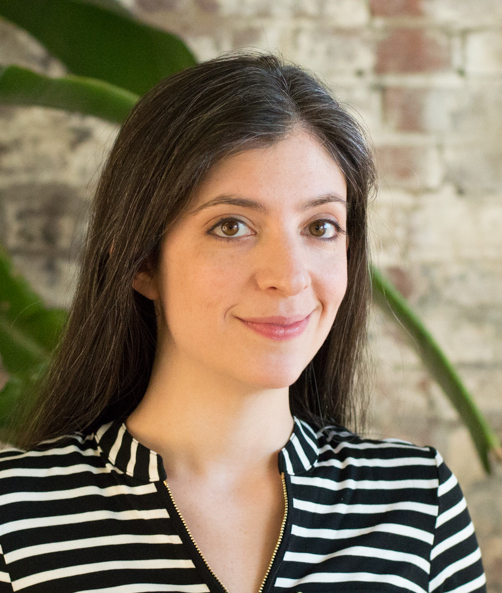 What’s a busy QA professional to do? One of the most overlooked factors when choosing an allergen test kit actually has almost nothing to do with the test kit itself. Instead, it’s much closer to home: The matrices being tested are just as—if not more—important to consider than the test kit itself. Before you commit to any allergen test kit, you should talk to someone extensively about the types of products you plan to test. There are a variety of surprising and counterintuitive ways that your matrices can impact the functionality of a test, and you’ll save time and money by understanding information BEFORE you start testing. Below, we’ll review some of the most common matrix challenges. Let’s imagine a facility that makes ice cream and sorbet. Let’s assume they make a gourmet strawberry ice cream and a fat-free strawberry sorbet, both of which ought to be peanut-free—but since some of the ingredients come from a supplier who also works with peanuts, the QA team decides to run a rapid peanut test on the strawberry products. Much to the team’s surprise, the sorbet tests positive for peanut but the ice cream does not. What could be happening? Of course, the simplest explanation is possible: The sorbet has peanut residue in it and the ice cream does not. However, there’s another, trickier possibility: They could have the same amount of peanut residue, but the full-fat ice cream could inhibit the test kit’s ability to detect the allergen. In general, the higher the fat content of your matrices, the higher the detection limit on your test kit. 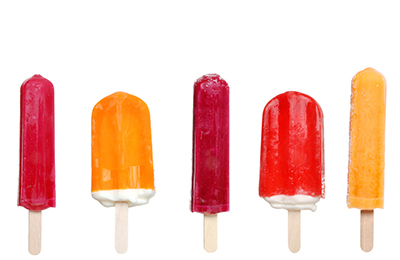 It’s an imprecise spectrum: Using rapid tests to find traces of allergenic protein on an oil is nearly impossible, on fat-rich items like ice cream or cream-based soups it’s a challenge, on items with little or no fat it shouldn’t be an issue. That isn’t to say there couldn’t be other issues with low-fat items, as we’ll review below. Let’s say our ice cream facility starts making a peanut-butter-swirl flavor. Perhaps they will begin testing their rinsewater for peanut residue after running that flavor, to ensure satisfactory cleaning. The kit they use says it can detect peanut allergen to 5 ppm, and rinsewater is not a high-fat matrix, so they should be good, right? In this exact example, it’s probably just fine. However, it’s important for the QA team to consider the temperature at which peanuts were roasted. 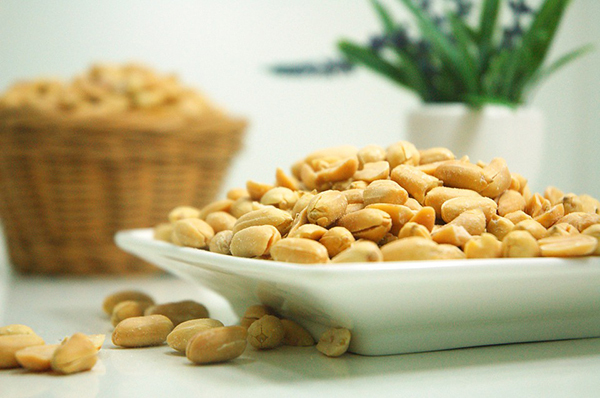 While raw peanut might be detectable at 5 ppm, roasted peanuts could have a detection limit that is much higher. In fact, very strongly roasted peanuts could only be detectable at levels of 500 ppm or more. This doesn’t mean there is no reason to test—but it’s important to know that many antibody-based tests will respond differently to an allergen processed with high heat than one that is raw. The same detection challenge can sometimes be seen with canned or tinned items that are subjected to high heat in processing. Two of the trickiest items when it comes to allergen detection are soy sauce and fish sauce. In both of these condiments—and many other common ingredients subjected to these types of processing—the allergenic material is subjected to heavy modification. As proteins get folded and broken in unpredictable ways, they become more challenging for antibody-based test kits to detect. In fact, soy sauce and fish sauce are nearly undetectable by most kits. When validating a cleaning process after using one of these ingredients, often the safest thing to do is to test for a different allergen—formulated in a simpler way—that is also present. Sufficient cleaning after a product made with fish sauce and breadcrumbs, for example, could be proven with a gluten kit; that second allergen will be unaffected by the fermented allergens in the recipe. Some kits look for a variety of proteins commonly found within one allergen. Other times, though, each test kit will be looking for one specific protein. It’s important to confirm that the allergenic protein your facility works with is in fact an allergenic protein that your test kit is trained to recognize. Perhaps the most common FALCPA allergen where this plays a role is milk. While there are a number of proteins in milk, casein is the most common and accounts for approximately 80% of the protein in milk, making it a common target for allergen test kits (both rapid and ELISA). The remaining 20% of protein is comprised of various whey proteins, most commonly beta-lactoglobulin. In the case of our ice cream and sorbet facility mentioned above, a kit that detects casein OR beta-lactoglobulin OR both proteins together could be suitable for confirming that the sorbet is truly milk-free. However, there are other types of product that contain only whey proteins, which are a popular way to increase protein content in a variety of foods and beverages. If a facility that works exclusively with whey proteins uses a kit that only detects casein, they will never have a true understanding of their allergen contamination risk. Another challenging FALCPA allergen is fish, as there are many different species of fish with quite divergent protein structures. If you are testing for fish contamination, it’s important to understand which species of fish the test you are considering can detect, and which species may pose a problem. If there is a mismatch between kit and matrix, then you’ll need to find a different way to ensure safety. What matrices have you validated your tests for? Do you anticipate any issues with my matrices? How should I validate your tests for my products? What factors impact the sensitivity of this kit? Does the detection limit change based on the matrix? Your kit manufacturer (or third-party testing lab) should make you feel confident that they understand the quirks of your specific matrices—and they should have ideas for how to troubleshoot any challenges that they foresee. If a supplier tells you that their kit will work equally well across all matrices and declines to offer proof that corresponds to your needs, beware (or at least be prepared to conduct rigorous validation on your own). Allergen detection is complicated, and as with so much of life: If it sounds too good to be true, it probably is. Almost half of food recalls are the result of undeclared allergens, and often these at-fault allergens were not only undeclared but unintended. Given such, the unintended presence of allergenic foods is something that must be carefully considered when establishing an allergen control plan for a food processing facility. How? It starts with a risk assessment process that evaluates the likelihood of unintentionally present allergens that could originate from raw materials, cross-contact contamination in equipment or tools, transport and more. Once the risks are identified, risk management strategies should then be established to control allergens in the processing plant environment. It is necessary to validate these risk management strategies or procedures in order to demonstrate their effectiveness. After validation, those strategies or procedures should then be periodically verified to show that the allergen control plan in place is continually effective. In several of these verification procedures it may be necessary to utilize an analytical test to determine the presence or absence of an allergenic food or to quantify its level, if present. Indeed, selecting an appropriate method to assess the presence or the level of an allergenic food is vitally important, as the information provided by the selected method will inform crucial decisions about the safety of an ingredient, equipment or product that is to be released for commercialization. A cursory review of available methods can be daunting. There are several emerging methods and technologies for this application, including mass spectroscopy, surface plasmon resonance, biosensors and polymerase chain reaction (PCR). Each of these methods have made advancements, and some of them are already commercialized for food testing applications. However, for practical means, we will discuss those methods that are most commonly used in the food industry. In general, there are two types of analytical methods used to determine the presence of allergenic foods: Specific and non-specific methods. To date, ELISA assays have become a method of choice for detection and quantification of proteins from food allergens by regulatory entities and inspection agencies. For the food industry, ELISA can also be used to test raw ingredients and final food products. In addition, ELISA is a valuable analytical tool to determine the concentration of proteins from allergenic foods during a cleaning validation process, as some commercial assay suppliers offer methods to determine the concentration of target proteins from swabs utilized to collect environmental samples, clean-in-place (CIP) final rinse water or purge materials utilized during dry cleaning. ELISA methods often require the use of laboratory equipment and technical skills to be implemented. Rapid-specific methods such as immunoassays with a lateral flow format also allow detection of target specific proteins. Given their minimal sample preparation and short time-to-result, they are valuable tools for cleaning validation and routine cleaning verification, with the advantage of having a similar sensitivity to the lowest limit of quantification of an ELISA assay. The use of a specific rapid immunoassay provides a presence/absence result that determines whether equipment, surfaces or utensils have been cleaned to a point where proteins from allergenic foods are indiscernible at a certain limit of detection. Thus, equipment can be used to process a product that should not contain a food allergen. Some commercial rapid immunoassays offer protocols to use this type of test in raw materials and final product. This allows food producers to analyze foods and ingredients for the absence of a food allergen with minimum laboratory infrastructure and enables in-house testing of this type of sample. This feature may be a useful rapid verification tool to analyze final product that has been processed shortly after the first production run following an equipment cleaning. While non-specific testing isn’t typically the best option for a cleaning validation study, these tests may be used for routine cleaning verification. Examples of non-specific tests include total protein or ATP tests. Tests that determine total protein are often based on a colorimetric reaction. For example, commercial products utilize a swab format that, after being used to survey a defined area, is placed in a solution that will result in a color change if protein is detected. The rationale is that if protein is not detected, it may be assumed that proteins from allergenic foods were removed during cleaning. However, when total protein is utilized for routine verification, it is important to consider that the sensitivity of protein swabs may differ from the sensitivity of specific immunoassays. Consequently, highly sensitive protein swabs should be selected when feasible. ATP swab tests are also commonly utilized by the food industry as a non-specific tool for hygiene monitoring and cleaning verification. However, the correlation between ATP and protein is not always consistent. Because the ATP present in living somatic cells varies with the food type, ATP should not be considered as a direct marker to assess the removal of allergenic food residues after cleaning. Instead, an analytical test designed for the detection of proteins should be used alongside ATP swabs to assess hygiene and to assess removal of allergenic foods. For routine testing, the choice of using a specific or a non-specific analytical method will depend on various factors including the type of product, the number of allergenic ingredients utilized for one production line, whether a quantitative result is required for a particular sample or final product, and, possibly, the budget that is available for testing. In any case, it is important that when performing a cleaning validation study, the method used for routine testing also be included to demonstrate that it will effectively reflect the presence of an allergenic food residue. Specific rapid methods for verification are preferable because they enable direct monitoring of the undesirable presence of allergenic foods. For example, they can be utilized in conjunction with a non-specific protein swab and, based on the sampling plan, specific tests can then be used periodically (weekly) for sites identified as high-risk because they may be harder to clean than other surfaces. In addition, non-specific protein swabs can be used after every production changeover for all sites previously defined in a sampling plan. These and any other scenarios should be discussed while developing an allergen control plan, and the advantages and risks of selecting any method(s) should be evaluated. As with all analytical methods, commercial suppliers will perform validation of the methods they offer to ensure the method is suitable for testing a particular analyte. However, given the great diversity of food products, different sanitizers and chemicals used in the food industry, and the various processes to which a food is subjected during manufacturing, it is unlikely that commercial methods have been exhaustively tested. Thus, it is always important to ensure that the method is fit-for-purpose and to verify that it will recover or detect the allergen residues of interest at a defined level. The food industry is beginning to transition into an era of big data and analytics unlike anything the industry has ever experienced. However, while the evolution of big data brings excitement and the buzz of new possibilities, it also comes coupled with an element of confusion due to the lack of tools for interpretation and lack of practical applications of the newly available information. As we step into this new era and begin to embrace these changes, we need to invest time to educate ourselves on the possibilities before us, then make informed and action-oriented decisions on how to best use big data to move food safety and quality into the next generation. 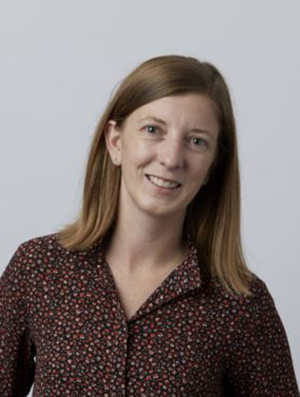 Stephanie Pollard will be presenting “The Power of Advanced NGS Technology in Routine Pathogen Testing” at the 2018 Food Safety Consortium | November 13–15One of the big questions for big data and analytics in the food safety industry is the exact origins of this new data. Next Generation Sequencing (NGS) is one new and disruptive technology that will contribute significantly to a data explosion in our industry. NGS-based platforms offer the ability to see what was previously impossible with PCR and other technologies. These technologies generate millions of sequences simultaneously, enabling greater resolution into the microbial ecology of food and environmental surfaces. Traditionally, microbiologists have relied on culture-based technologies to measure the microbial composition of foods and inform risk management decisions. While these techniques have been well studied and are standard practices in food safety and quality measures, they only address a small piece of a much bigger microbial puzzle. NGS-based systems allow more complete visibility into this puzzle, enabling more informed risk management decisions. With these advances, one practical application of NGS in existing food safety management systems is in routine pathogen testing. Routine pathogen testing is a form of risk assessment that typically gives a binary presence/absence result for a target pathogen. NGS-based platforms can enhance this output by generating more than the standard binary result through a tunable resolution approach. NGS-based platforms can be designed to be as broad, or as specific, as desired to best fit the needs of the end user. Imagine using an NGS-based platform for your routine pathogen testing needs, but instead of limiting the information you gather to yes/no answers for a target pathogen, you also obtain additional pertinent information, including: Serotype and/or strain identification, resident/transient designation, predictive shelf-life analysis, microbiome analysis, or predictive risk assessment. By integrating an NGS-based platform into routine pathogen testing, one can begin to build a microbial database of the production facility, which can be used to distinguish resident pathogens and/or spoilage microbes from transient ones. This information can be used to monitor and improve existing or new sanitation practices as well as provide valuable information on ingredient quality and safety. This data can also feed directly into supplier quality assurance programs and enable more informed decisions regarding building partnerships with suppliers who offer superior products. Similarly, by analyzing the microbiome of a food matrix, food producers can identify the presence of food spoilage microbes to inform more accurate shelf-life predictions as well as evaluate the efficacy of interventions designed to reduce those microbes from proliferating in your product (e.g. modified packaging strategies, storage conditions, or processing parameters). Envision a technology that enables all of the aforementioned possibilities while requiring minimal disruption to integrate into existing food safety management systems. NGS-based platforms offer answers to traditional pathogen testing needs for presence/absence information, all the while providing a vast amount of additional information. Envision a future in which we step outside of our age-old approach of assessing the safety of the food that we eat via testing for the presence of a specific pathogen. Envision a future in which we raise our standards for safety and focus on finding whatever is there, without having to know in advance what to look for. Every year we learn of new advancements that challenge the previously limited view on the different pathogens that survive and proliferate on certain food products and have been overlooked (e.g., Listeria in melons). Advanced NGS technologies allow us to break free of those associations and focus more on truly assessing the safety and quality of our products by providing a deeper understanding of the molecular makeup of our food. While global market demand for “free-from” food products is increasing, undeclared and mislabelled allergens, sulphites and gluten, throughout the supply chain, continue to be the number one cause of consumer product recalls. This is of major concern since the number of individuals affected by life-threatening allergies is on the rise, especially in children. Unfortunately, there is no cure for a food allergy; avoidance of allergenic food(s) is the only way to prevent an allergic reaction. It is clear that allergen recalls negatively affect the consumer, however, they also result in huge financial implications and loss of brand credibility to all organizations involved. Businesses and brands may take a significant hit to their reputation since consumer perception plays a key role in the success of a business. With the increased use of the internet and social media, it is even more important to stay out of the spotlight and avoid recalls. Among the reasons allergens hold the #1 position for product recalls may be lack of knowledge, insufficient supplier and raw material information, packaging errors, and accidental cross-contact. Cross-contact may be the result of poor cleaning practices, inadequate handling and storage procedures, employee traffic, and improper identification and assessments of risks. In addition, from a regulatory perspective, priority allergen lists and ingredient labeling laws vary from country to country, causing confusion for both manufacturers and consumers. The good news is, implementing a strong allergen control plan can help to prevent recalls, protecting consumers and your business. It starts with conducting a thorough risk assessment of each step in your process to determine where procedures and controls need to be implemented. A process flow diagram is very useful in understanding where allergenic ingredients and foods exist in the plant and where they are introduced into the process. Control measures must be implemented even before raw materials enter the facility. The importance of understanding the incoming ingredients, inputs and suppliers cannot be overstated. The allergen status of every raw material handled or present in a food business needs to be identified and effective risk assessment tools applied. This involves identifying and documenting the food allergens present in each raw material, including non-food items like maintenance and cleaning chemicals. It’s imperative to recognize suppliers and backup suppliers’ vulnerabilities to ensure the success of the program. This should include identifying all allergens handled in the facility, as this might not be obvious based on ingredient declarations or product specification documents. Ensure supplier ingredient specification documents are current and routinely reviewed so accurate assessments can be made about the level of allergen risk. Ensure there is segregation of allergenic foods or ingredients at every step of the process, from receiving raw materials through to shipping finished product. It is important to review labels at receiving to confirm the allergen status of raw materials. This serves as verification that ingredients have not been modified and the allergen status is still accurate. It also provides the basis upon which to determine storage and handling requirements. Visual tools are great for displaying the allergen status of each raw material. This can be done through applying color coded stickers or tape, unique tags or some other method, and should be done immediately at receiving. To avoid the potential for cross contamination from one ingredient to another, each allergen and/or group of allergens should have its own designated storage area or space. In addition, never store allergenic ingredients above ingredients that do not contain the same allergen. Controlling allergen risk throughout processing can be a major challenge since there are so many opportunities for cross contact. Ideally, physically segregate production of foods containing allergens from the production of non-allergenic foods. When physical segregation is not possible, dedicated production lines and equipment is best practice. Barring this, scheduling production runs appropriately can reduce the risk of cross contact and minimize sanitation and changeover activities. Where possible, schedule non-allergenic production before processing allergen-containing products. In addition, dedicate and identify tools and utensils for allergenic ingredients and products. Providing a visual aide can help ensure appropriate practices, and one way to do this is through color coding. Similarly, use dedicated employees on non-allergenic production lines and/or allergenic production lines. Make the employees easy to identify by implementing colored uniforms, hairnets or smocks. Identify allergenic materials by labelling or color coding throughout the manufacturing process. This should include rework, which should only be added to work in progress containing the same allergens. Control of allergens does not stop at processing; the Maintenance department also plays a big role. Sanitary design needs to be considered when purchasing any piece of equipment. The equipment must be easily and fully washable to ensure proper sanitation. Positioning of equipment is also important in terms of cleanability and the potential of cross contact from an allergenic production line to a non-allergenic production line. Airflow and the potential for contamination of air borne allergenic dust to non-allergenic ingredients, products and equipment also should to be considered. Lastly, maintenance procedures must be put in place to prevent cross contact. This includes processes for repairing or maintaining equipment, cleaning tools and changing work apparel between repairs, as appropriate. Consumers rely heavily on ingredient declarations and allergen statements on packaging to make purchasing decisions. “For those living with the medical condition of food allergy, the simple act of eating is complicated; avoiding their allergen is the only tool they have to manage the risk of a potential allergic reaction. 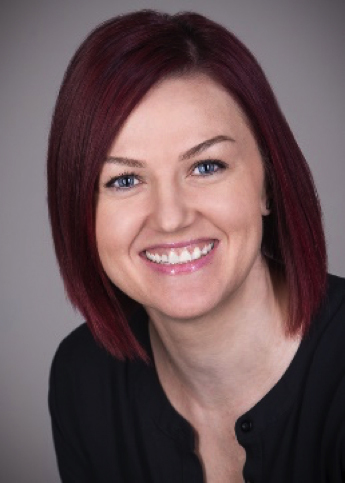 These consumers require accurate labeling information to help them stay safe while still having sufficient food choices,” states Jennifer Gerdts, executive director at Food Allergy Canada. As such, it is imperative that the information on finished product labels and packaging is accurate. A solid allergen control program includes processes for reviewing labels for new and modified products to ensure they are reflective of the ingredients in the product. Labels and packaging should also be verified for accuracy prior to receipt, and at the beginning of a production run or at changeover. Outdated labels and packaging should be discarded immediately to prevent the chance of accidental usage. Inventory control procedures and label/packaging reconciliation is imperative to ensure the correct labels/packaging have been applied to the appropriate finished product. It is crucial to develop and implement robust procedures for effectively cleaning equipment, utensils, food contact surfaces and non-food contact surfaces. This must include cleaning between batches of allergenic and non-allergenic production and responding to allergen spills. Carefully consider the tools and cleaning chemicals used for each the task, as this can make a significant difference in the success of the sanitation program. Verification and validation of cleaning practices must be undertaken to confirm that cleaning activities are effective in removing the allergens in the facility. 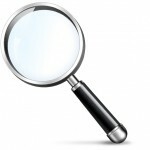 This can be done through visual inspections, swabbing after sanitation and trending results. One of the most important tools for ensuring the success of any allergen control program is educated employees. All foods handlers, regardless of their position, should undertake training in food allergens. Employees are the eyes and ears of the plant floor, the more knowledgeable they are, the more likely proper procedures will be followed, and potential risks identified. Complete regular reviews of the allergen management program to ensure that it remains current, effective, and continues to assist in the production of a safe and legal food product. The program should be reviewed, at a minimum, whenever a customer complaint is received regarding allergic reactions, there is a change to raw materials or suppliers, there is a change in manufacturing processes, there has been an introduction of new machinery, or there is a change to cleaning practices and procedures. An important aspect of an allergen control program is allergen testing. Testing can be used to confirm the allergen status of raw materials at receipt, to verify cleaning processes, and to evaluate finished products. An array of test methods exist for this purpose, including but not limited to, immunochemical methods such as ELISA or lateral flow devices, DNA-based methods, such as Polymerase Chain Reaction (PCR), Mass spectrometry (MS), and other non-specific methods such as Protein tests, ATP and visual inspection to verify cleaning. The choice of test method is very important and depends on the purpose of the test, the type of sample, food matrix, processing effects, desired turn-around time, availability of equipment, skill level of person doing the analysis and cost. ELISA and lateral flow devices are often used on-site at the production facility because results can be obtained quickly, costs are relatively low, and personnel can be easily trained to use these tests. In some circumstances of highly processed samples, PCR may be a better choice. However, PCR testing requires specialized equipment and skilled technicians so is usually performed in a third-party testing lab. Mass spectrometry is yet another option but can be costly and like PCR, this method requires specialized equipment and skilled personnel to perform the analysis. As you can see, there are many factors to consider when developing an effective allergen control program. While it may seem daunting, it is critical understand how to identify and assess all allergen risks and develop a plan to control, verify and validate each one. The upfront work may be challenging, however once implemented, an effective allergen control program will protect allergenic consumers from the potentially life-threatening effects of inadvertently consuming and allergenic product, and will protect your business from financial loss and a tainted brand reputation. 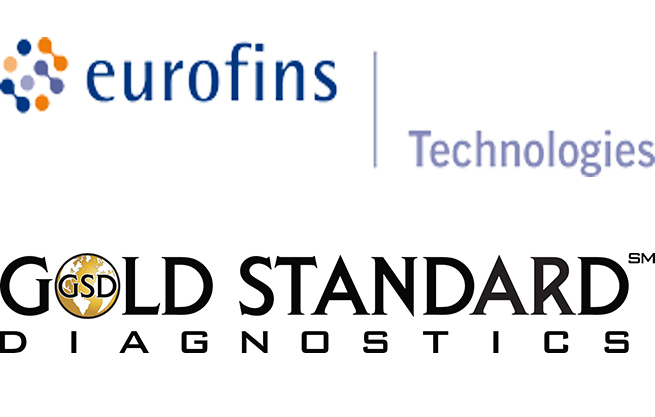 This week Eurofins Technologies announced a strategic partnership with Gold Standard Diagnostics (GSD), a developer and manufacturer of fully-automated diagnostic instruments and assays for various test methods. 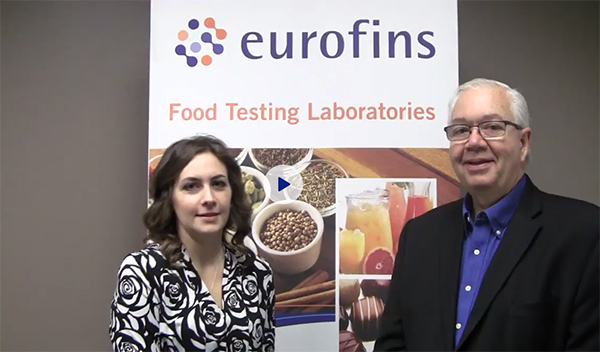 The agreement unites Gold Standard’s ELISA-based instruments and Eurofins Technologies rapidly-expanding diagnostic test kit portfolio for food, environmental and animal health testing. Gold Standard Diagnostics will be the standard platform for Eurofins Technologies ELISA-based food testing kits including food pathogens, allergens, mycotoxins, veterinary drug residues, and animal health kits.